Marvel Cinematic Universe X Kingdom Hearts Anthology Part VI: "Point Break.". Trailer: Iron Man: "...Okay kid, your up." Sora: "Gotcha! Donald, Goofy, let's go!" Captain America: "Are you seriously letting a kid join us into battle? i won't allow it." Iron Man: "Sorry...Captain America but the kid's shown potential, he could make a great Avenger one day, first things first though...gotta get past the images of the live talking giant Duck and the Dog like thingy." Thor: "I'm sure you've seen stranger things by this point Stark, take me for example, the God of Thunder-" Iron Man: "Yeah no not really Point Break, you don't really help the case, if anything, HE helps the case." Hulk: "...Hulk...SMASH!!!!" We see Sora, Donald and Goofy fighting alongside the Avengers, namely Iron Man, Captain America, Thor and the Incredible Hulk, against an army of what look like Ultron Robots combined with Heartless, creating what are known, as "Ultron Heartless". Xigbar: "...So the true hero pointed you in the direction of a World he heard rumors about, about a World where other "true heroes" seemingly existed...As If Sora, Roxas, this World is a hoax and, as far, as the Organization is concerned, it holds no true value for us whatsoever." Sora: "Maybe but still, we might find the VII Guardians of Light we're looking for here in this World and once we join forces we'll-" Xigbar: "You'll what? have high hopes of ever defeating US? please...keep dreaming, kiddo." Sora uses Athletic Flow against floating buildings being held up in the sky, he wields a Keyblade that bares motifs from the Avengers members previously aforementioned, he can transform the Keyblade into a giant cannon and use it to shoot Iron Man's signature Unibeam attack straight at all the enemies in front, completely annihilating them without a trace. Ultron: "...That Key, i've never seen it before, is it another one of Stark's latest weapons?" Sora: "Huh!? a talking robot!? who are you!? and who is...Stark?" Sora jumps on-top of Goofy with Donald in turn jumping on-top of Sora, acting, as a lightning rod, destroying all Ultron Heartless in sight by sending down multiple rays of lightning with his staff. Captain America: "A...kid!? what are you doing on the front-lines!? its way too dangerous! stand back!" Sora: "Sorry, no can do mister! these are Heartless and its our job to stop them!" Captain America: "What the?" Iron Man: "Hold on Cap, i think the kid might be on to something." Captain America: "Tony! what are you!?" Iron Man: "Hey kid, got a name?" Sora: "Huh? oh, i'm Sora, this is Donald and that's Goofy." Iron Man: "...I see, hey, that weapon of yours, can i see it?" Sora: "...Uh...something tells me that i shouldn't." Thor: "You are wise to trust your instincts, young warrior." Captain America: "Thor! not you too!" Thor: "Relax Captain, this young man has shown worthy potential, a song could be written about him for all of the great halls of Valhalla to sing one day." Hulk: "Hulk...SMASH!!!!" Sora: "...Hulk, Smash?" Sora fights alongside both Thor and Hulk without Donald and Goofy, Thor channels electricity through his hammer which he then directs at Sora's Keyblade of whom uses it to shoot a laser beam at all the Ultron Heartless. Sora is seen diving down in the middle of a hole surrounded by floating buildings and landing on-top of the Hulk's shoulder, together, Sora commands Hulk to charge through all the Ultron Heartless, using his bare fists to Smash his way through. Ultron: "That Keyblade of yours...i want it, hand it over and i may just spare your life, for a Human being that is." Sora: "No way, the Keyblade...isn't a tool, to hurt others with! i'll stop you and then, i'll become an Avenger!" Ultron: "Really? and what is it that you'll be "Avenging", boy?" Sora: "...My friends, i'll Avenge the sadness and tears brought about...by misery!" Sora now fights with both Iron Man and Captain America against Ultron sitting upon a throne of which multiple circuits are plugged into his back, Sora jumps on the Captain's signature Shield, as he throws it and with Sora on-top of it, it causes itself to spin, allowing Sora to use the Shield like it was a spinning top, spinning back and forth, attacking the enemy whilst holding his Keyblade with both hands still in motion until finally when the spinning reaches its end, Sora performs a golf like pose and swings his Keyblade directly at Ultron, hitting him with a small ball of energy that erupts upon impact. Xigbar: "I wonder, just how many Hearts do you think need saving right about now, i mean, are you even sure that you have the time to find these so called VII Guardians of Light? As If! 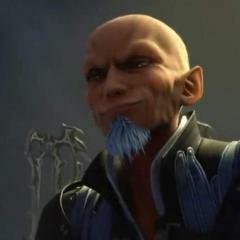 let me remind you how tough the crowd your dealing with really is, Sora, Roxas, VENTUS." Sora: "Ven...tus?" The Trailer ends. Trailer Music: https://youtu.be/FcckUd2YrUQ. Ideas for both X-Men and Fantastic Four films set in the Marvel Cinematic Universe. X-Men: 1-James Howlett: James "Logan" Howlett, A-K-A Wolverine of the X-Men is a Mutant with special abilities, he can produce retractable bone claws from his hands and has an extraordinary healing factor that has kept him both alive and young looking for over centuries, during World War II he served, as a dishonorably discharged member of Captain America's Howling Commandos and was sentenced to death by a firing squad, only to survive his execution and thus kept locked away in a highly secured prison overseen by S.H.I.E.L.D., later on, S.H.I.E.L.D. hired Professor Andre Thorton to work on a top secret government project, Weapon X to use Adamantium, as a means of recreating the Super Soldier Serum following the years the war had ended and Captain America was presumed dead to the world, Logan was used, as one of the candidates for Weapon X, eventually becoming its only successful recipient, the Adamantium successfully bonding onto his bones and transforming his claws into what looked like small metal blades prodding from within his hands, however, the experiment left Logan with amnesia and in a sudden bout of rage, he lashed out against his captors and those that had experimented on him, killing nearly everyone except Professor Thorton and then fleeing the scene with no one having been able to track him down thus far, because of the incident involving Logan the experiment was deemed a failure and Professor Thorton was fired personally by director of S.H.I.E.L.D. Nick Fury, his research notes confiscated and leaving the professor himself behind in the dirt only to swear vengeance on both S.H.I.E.L.D. and especially Logan for what he believes to be the single most blemish on his entire "perfect" career, Thorton began working in secret on a new experiment that he had dubbed "Weapon X 2.0" and with this new experiment, he intended to find Logan, exact revenge upon him before seeking revenge against S.H.I.E.L.D. and finally use his Weapon X 2.0 to sell to the highest black market dealers, Thorton had decided to use his own adopted daughter, Yuriko Oyama, as the first recipient of his new experiment, the experiment turned out successful and Yuriko was reborn, as Lady Deathstrike that Thorton code-named her, now all that was left was finding Logan... After Logan escaped S.H.I.E.L.D., he spent the next few years hiding among the people of Sokovia, however, due to the events of Avengers: Age of Ultron, Logan was forced to cover his tracks and relocate elsewhere, while on the move, Logan started to meet others like him, Mutants, he discovered that they had possessed abilities different to his own yet at the same time were similar more or less, despite this, Logan still wanted to keep on moving, his instincts telling him so, whenever he found himself short on cash, he would sometimes act like a mercenary and take on jobs that weren't really pleasant to say in a term of endearment, roughing up people on behalf of his business associates that had promised to pay Logan for example, if not that, Logan would otherwise spend time in steel cage matches where people would bet money on him both winning or losing, either way, Logan was bound to get what he was after in the end, by winning using his sheer strength he would earn prize money and by losing on purpose upon hearing that people had bet for him to win, hypothesizing that he would earn more money if he lost, Logan would sometimes act like he was throwing the match without showing it, without appearing weak and like any other ordinary fighter in the ring, would he appear to win some and also lose some at the same time, this way, Logan made sure that people didn't catch on to his true nature and thus, he was able to keep secretive for a good while that is until a man of certain interest, paralyzed from the waist down and using a unique styled wheelchair had decided to pay one of Logan's matches a visit, where in the ring he was famously known by his ring title "The Wolverine" and Logan upon hearing that the man was betting for him to win the match, Logan planned to lose that match on purpose in secret so that he would earn more cash, however, during the match, he felt something was off, like his opponent's movements were so fast that Logan couldn't possibly dodge them without getting seriously hurt and if that were to happen, his identity, as a Mutant would be exposed, having no choice, Logan was forced to win his match against his opponent and had ended up winning less money then originally planned, after the match ended when everyone had left, Logan confronted the paralyzed man who was waiting for him, the man introduced himself, as Charles Xavier and that he was visiting Logan to both confirm if he was truly a Mutant and if so, would Logan be willing to accompany Xavier back to his home where they could talk further, at first, Logan denies knowledge about Mutants and that he is a Mutant himself, however, Xavier then reveals that he is actually a Mutant himself, as well and he uses mind tricks on Logan, revealing to him inside his head that Xavier did the same thing with Logan's opponent in the match before, he manipulated Logan's opponent by secretly taking control of his mind and forcing Logan to win the match when he should have otherwise lost on purpose without no one knowing, knowing that after Xavier had purposely bet on Logan to win would Logan take the chance to do otherwise, upon discovering this, Logan grows infuriated with Xavier but before he can threaten the disabled man in his wheelchair, Xavier proves that he is not, as helpless, as Logan makes him out to be, besides taking control of people's minds, Xavier can also make their bodies bend to his will, although he admits this is not his strongest ability in his arsenal of Mutant mind game abilities, he uses this ability on Logan, halting him before he can use his Adamantium claws on Xavier just, as they were about to pierce his skull, Xavier then knocks out Logan using a small psychic attack to his brain, of which while suffering the effects of the mind blast does Logan see small second timed visions of his past before blurring out right onto the ground floor and seeing before his vision blurs out completely two silhouettes walking up from behind Xavier towards Logan with one of them bowing down to the ground to pick up Logan... Meanwhile, Thorton and Deathstrike make contact with the Mutant Caliban who can detect other Mutants with his powers, Caliban is a black market dealer who only uses his "special gift" to make deals with people like the Mafia/Yakuza for examples if they are willing to pay his interest amount of money, although they have threatened him in the past, Caliban says that he is used to being threatened, as he has been threatened since when he was a child, he shows a branded mark on the back left side of his neck saying the word "STRYKER" in front of a S.H.I.E.L.D. logo tattoo, saying STRYKER of where the word S.H.I.E.L.D. should be, Caliban reveals that no matter what torture scheme Thorton may try to have Deathstrike use on Caliban, Caliban says that pain is now just a natural feeling to him and even more so, he welcomes it, feeling uncaring about the whole idea of pain whatsoever, however, Thorton reveals that he is not here to make Caliban talk using aggression, Thorton is willing to pay Caliban however much he wants, as long, as he can locate a certain Mutant that Thorton is looking for, Caliban intrigued asks who this Mutant is to which Thorton merely smiles, elsewhere, Logan wakes up, dazed and with no beard, it having been shaven off while he was asleep to find that he is in a school like setting, where here, he sees kids of multiple ages, all with Mutant powers, Logan wonders just where the hell is he and a young man then appears to reveal to him that he is at a place called the Xavier Institute for Gifted Youths, this young man is seen wearing ruby coloured sunglasses and upon recognizing him by his scent, as the silhouette who picked him up before being knocked out cold, Logan proceeds to threaten the young man with his Adamantium claws, however, the young man remains unfazed and instead tells Logan who he calls midget to retract his claws, as he is scaring the students around him, namely the younger ones, Logan notices this and upon seeing the fear in everyone's eyes, he decides to do what the young man has asked of Logan and retract his bone claws, after retracting them, the young man then asks everyone to just move along and go about their business without worrying, pretend that nothing was happening, the students decide to oblige despite feeling a little edgy around Logan, Logan looks at the young man and smirks, saying that he's got guts to call Logan midget, the young man replies he is only stating the obvious but enough about that, he goes on to say that his name is Scott Summers and that the professor would like to see Logan, Logan says professor? who's professor? we then skip to see both Logan and Scott enter the professor's room teaching a class, he answers a question from one of his students named Jubilee about the history of both Human and Mutant-kind and the professor proceeds to answer Jubilee's question, upon noticing Logan, the professor decides to end the lesson but not before reminding the students that they have their next lesson with their teacher named miss Munroe, after all the students leave, the professor reintroduces himself to Logan again, as Charles Xavier and that like Logan, he too is a Mutant, the same, as Scott, as well, including all of the students Logan has seen on the premise, Logan immediately demands to know from Xavier who is he? what is this place? why the hell did they kidnap him? Xavier proceeds to answer Logan's questions one step at a time, first of all, Xavier reveals that he runs this school for those he believes are gifted, those that he believes are without homes and those that he believes are troubled and that they need proper guidance and education in both the ways of the world and their abilities, Xavier's Institute for Gifted Youths is a home where everyone is treated both, as equal and, as family and believing because they are Mutants especially, Xavier's Institute offers its residents warmth, protection and especially above all else, love for both themselves and especially others, the school isn't just limited to only Mutants and children, it is opened to all people of all ages of all kinds and that following the inspiration of his personal hero, Martin Luther King the day he made his iconic and especially symbolic speech, Xavier hopes that one day the day will come when Mutant-kind and Humankind will join one another, hand in hand, as friends, family and lovers all alike, right now the world is more or less completely oblivious to the existence of Mutants, however, ever since the events of The Avengers, the Battle of New York, Xavier knew that one day Mutant-kind would one day reveal itself or be revealed to the rest of the world and when that would happen, people would panic in frenzied fear, not knowing what to do with Mutants and instead would grow mad with hate and jealously, so much so that they would even try to kill Mutants just because of being "different", Xavier likens it perfectly to how when black people were treated by white people over the early times occurring before the modern age, thus why Xavier finds Martin Luther King a very good role-model for Mutants and Xavier hopes that he can live up to that dream of a united world, Logan merely scoffs, saying he didn't want to know that speech and instead asks Xavier again, why did they kidnap him? Xavier reveals his reason to Logan, he knows that a man from Logan's past is hunting him down and is trying to kill him, as to why Xavier cannot answer for Logan is suffering from a severe case of amnesia that it is hard to both deduce and pinpoint the reasons, as to why this man is hunting down Logan, only that he has ties to Logan's past, Logan questions that is impossible for he can only recall his time living in Sokovia, however, Scott asks Logan what about his life before that? he surely must of had a life before Sokovia, Logan cannot remember his life before Sokovia and that he says he tries not to, believing that the past should stay the past and nothing more then that, Xavier rebuffs Logan's statement, knowing that Logan is lying and that in truth he wants to find out more about his past, Logan tells Xavier to get out of Logan's head, only for Scott to warn Logan that if he tries to threaten the professor like he did before, Scott will blow Logan's head off, Xavier reveals Scott's powers to Logan and why he must wear ruby coloured sunglasses at all times, upon hearing this, Logan becomes interested and wishes to see Scott's power, he starts taunting Scott with Xavier telling Logan to stop while Scott tries to resist getting mad, just before tensions can build up, suddenly, everything in the professor's office starts floating about, as a young woman enters onto the scene, threatening Logan not to threaten either Scott or the professor or he will surely live to regret it, this young woman is identified, as Jean Grey and that like Xavier, she too can use mind abilities, it is then that both Xavier and Jean at the same time sense an approaching threat and the school suddenly comes under attack, the attackers are revealed to be Thorton, Deathstrike, Caliban and a bunch of other unknown Mutants... The attack occurs at the basketball court just outside the school, where Thorton, Deathstrike and Caliban are accompanied by other Mutants, their names are Toad, Pyro, Blob and Avalanche, Thorton had Caliban track the other four Mutants, as either troubled youths and/or mercenaries, willing to make a job for a quick pay check, Thorton promised to pay them whatever they wanted, just like Caliban beforehand if they would help Thorton kill Logan, they accept without hesitation, seeing one man's life, as just a "needed" sacrifice in order to make their own lives better, Pyro sets the basketball court on fire while Avalanche causes the ground to shake, sensing what is going on outside, Xavier orders the X-Men to action, Logan saying X-what? at the basketball court area, Pyro's fires are suddenly turned to pure ice itself and a huge thunderstorm suddenly appears from out of nowhere with a lightning bolt that nearly strikes Avalanche, causing him to stop creating an earthquake, appearing on the scene are two people dressed in uniforms with a X logo on them, they are code-named Iceman and Storm respectively, Thorton is fascinated by their abilities and cannot believe that other Mutants with their kinds of abilities exist, however, he then suddenly orders their termination without hesitation, he orders Blob to attack the two head on, as Caliban goes into hiding, Storm tries to strike Blob with a lightning bolt to stop him from rampaging, only for Toad to spit on Storm's face, creating a mucus like substance that temporarily subdues her, as Blob uses his arm to knock Storm out of the way and into one of the school's nearby buildings, Iceman tries to freeze Blob's legs to stop his out of control rampage, only to have his ice melted by Pyro's fire the same way that it was vice versa beforehand a few moments ago, Blob grabs Iceman and gives him a bear-hug, causing him to transform into ice and also crack like ice, as well, just before Blob can break Iceman into pieces, he is suddenly lifted up into the air and is then shot by a red beam from not too far away into a nearby pond just outside the school, this was a duo combo attack made by both Jean using telekinesis and Scott using laser like projection from both of his eyes respectively, they and Logan had arrived on the scene to assist both Iceman and Storm, Thorton stops his hired guns for a moment to take a hateful look upon Logan who doesn't recognize Thorton, Thorton without saying anything then orders Deathstrike to attack Logan, causing him to immediately use his Adamantium claws to protect himself from Deathstrike's very long fingernails, tipped with Adamantium, she proceeds to scratch Logan with her right hand's fingers, greatly damaging him, as he soon discovers firsthand that he is not healing right away like he normally does, Thorton reveals to Logan that because his body was now made with pure Adamantium inside of it, just, as Logan lives on with Adamantium, the same can be said about dying, in other-words, just, as Adamantium is a strong shield that protects Logan's body, it also acts, as a cracked shield, a Trojan's horse if you will, Logan can be fatally wounded by Adamantium just, as much it increases his healing factor's speed up process, it can also temporarily halt it, this was the reason why Deathstrike was created, she was to serve, as Thorton's "Deathstrike" upon Logan for all the "embarrassment" Thorton has suffered from because of Logan when he nearly killed Thorton during the time, it is then that Logan slightly recalls Thorton in his memories, he remembered sparing Thorton out of pity for the scientist but more so because of the fear Logan saw in Thorton's eyes just when he was about to kill him, as Logan temporarily stops due to thinking about all of this, Deathstrike tries to hit Logan again, only for Logan to be lifted up into the air by a pair of hands and saved from being killed at the last second, he was saved by another X-Men code-named Angel, Angel takes Logan away from the scene, knowing that the enemy is after him, as Thorton in anger orders both Deathstrike and Toad to pursue them while Pyro, Blob and Avalanche stay behind to deal with the rest, Thorton regroups with Caliban to plot their next move... Pyro attacks Scott with his fire who counters with his laser eye projection, the heat from both blasts counterbalancing one another, as Avalanche takes on Jean who uses her Telekinesis to lift Avalanche up into the air, only for him to cause seismic activity despite being levitated, this causes Jean's concentration to become slightly shattered, as Blob reappears on the scene having jumped all the way from when he was struck into the nearby bond by both Jean and Scott, using his belly to knock Jean back right into Scott, leaving the two defenseless to Pyro, Blob and Avalanche's onslaught, Avalanche decides that he will bring the whole school down with his next quake, Pyro also deciding to burn the remains of the school alongside Avalanche, as the two try to work their magic, they are then stopped by a huge gale, the gale knocks them off balance and sends them flying miles away, it was Storm reappearing, having regained her balance, because of Blob's heavy weight, he plants his feet into the ground and stops himself from being swept away, however, his entire body is then suddenly found freezing all over, as Iceman also gets backup on his feet and uses his ice to cover Blob's entire body, keeping him in check, thanks to the ice, Blob can't physically resist the gale blowing him away and, as he is sent flying midair, Scott uses his laser eye projection on Blob's torso to send him packing once more further then he was previously, thanks to the combined efforts of everyone, Pyro, Blob and Avalanche were defeated, Iceman however falls unconscious with Scott, Jean and Storm barely trying to keep consciousness, being very fatigued from the battle, Logan elsewhere is saved by Angel who introduces himself, as Warren Worthington the 3rd, Warren tries to help Logan regain his senses, as Logan slowly but surely starts to recall everything, Weapon X, S.H.I.E.L.D., the Howling Commandos, Captain America, everything, it seemed that Deathstrike's last attack on Logan had an effect on his Adamantium skeleton, it released a kind of shock-wave therapy that sort of jump started Logan's memories, including ones that he had long since forgotten, he remembers the very 1st time his Mutant powers first activated, it was centuries ago, he accidentally killed his father who was trying to comfort Logan when he was going through a period of torture, pain and despair, after killing his father, Logan had abandoned his birth-name and had instead adopted the persona "Logan", he felt the name Logan was strong and that a person with that kind of name would bend to no other person's will, thus he simply became known, as Logan throughout his life from that point onward, he decided to place himself in the heart of all the major world conflicts so that he would avoid the memory of having killed his father for if he were to accept that memory would that mean reverting back to what he thought of himself, as his old weak self and upon meeting Captain America and joining the Howling Commandos, Logan thought he had found his new family after all his years of living, however, upon disobeying direct orders from high American command in order to save lives instead of adhering to the mission to destroy HYDRA, despite Cap and the other Commandos trying to vouch for Logan and his actions, he was nevertheless sentenced to death by firing squad, only to survive that and become imprisoned for the next few decades, of which he was brought back to be used, as a guinea pig test subject for S.H.I.E.L.D. and its newest project, Weapon X, after becoming Weapon X, his subconscious fully took control over Logan's mind and had completely "erased" his "weak past" but upon Deathstrike's slashing blow upon Logan, the memories, all of them came rushing back to Logan, he now remembers his true name, "James John Howlett", son of "John Thomas Howlett", Logan ponders on all of this... (Before i continue, what does everyone think so far?). Video The Marvel Cinematic Universe's TV Show Onslaught! Hey there everyone, how's it going!? So then, as you all know, San Diego Comic Con wasn't too long ago, and in said convention, many trailers for Marvel's shows were shown to the public, and well, I want to talk about these shows, and what I'm most excited for! And so I, The Friendly Neighborhood Webhead present to you, the MCU's TV Show Onslaught! Enjoy! So, for those of you who love the MCU, which show are you most excited for? Let me know in the comments below! Hey there everyone, how's it going!? Well then, as many of you Marvel fans here in this site may probably know, Captain America: Civil War is right around the corner! We've been waiting for this film ever since it was announced, and now that it's finally so close to being released, I can taste it! It's so torturous to have to keep waiting for the movie to come out, especially given the fact that there are a few special people who have seen early screenings of the film! I'm guessing I'm not the only Marvel fan who's patience is being tried! Seriously, I mean, just look at the whole build-up! This battle between heroes has been building up from way back when, as the Avengers defended Earth against the Chitauri army! Ever since then, every subsequent event has been leading up to this moment, and every hero has a bone to pick, and not all of them are on the same page! Seeing ideologies clash is what's going to be so big about this film, and the fact that former friends are now facing off against each other is both amazingly heartbreaking but thrillingly exciting! I can't wait to see how this film is going to turn out! What's more, this film marks the Marvel Cinematic Universe debut of two long awaited heroes, which are Spider-Man and Black Panther! My God, I can't wait to see them in the film!!! D: But yeah, like I said, many people have already seen this movie! Thankfully, Youtubers Jeremy Jahns and Collider provided spoiler free reviews of the film, and just from the looks on their faces and the way they so passionately describe their love for the film, it's apparent that the Russo brothers scored another home run with Civil War! Apparently, Black Panther and Spider-Man really kicked the ball out of the park! Gahhh, seeing how excited these people are makes my patience run even thinner! BUT, the most important thing here is that I haven't spoiled myself! Surprisingly, I'm amazingly good at avoiding spoilers for things, and I think it imperative to avoid spoilers for this film! So if any of you have by chance already seen the film, PLEASE, I IMPLORE OF YOU, DO NOT SPOIL ANYTHING ABOUT THE MOVIE TO ME! The build up for this film has been amazing, and I've been craving to see this film, and I want to go into the cinema not knowing absolutely anything about what'll happen in the film!!! I want this Marvel movie experience to be extra special!!! But yeah, are you all excited for Civil War? Cuz I know I am! But even though the movie's so close, it still feels too far away!!! Film Could Wolverine Appear In Marvel's Cinematic Universe? Hey there everyone, how's it going!? Well then, as you all probably know, unfortunately, Marvel's heroes are split up because of contracts between Fox and Marvel, and as such, the Fantastic Four and the X-Men don't get to meet the Avengers or participate in the Marvel Cinematic Universe at all. While it's a sad thought, there is a small ray of hope that could turn out into something great! And this all revolves around Wolverine! As you all know, Wolverine has been portrayed by Hugh Jackman for the past decade and a half, and well, he announced that he'll be hanging his boots as the clawed mutant, his last film to be a solo Wolverine film, so this just all begs the question: Could this open up doors for the heads at Marvel studios? Here's what I'm thinking! This is just a fanboy hoping, but hey, it's a good enough theory, so I'm gonna give my two cents on this! So then, since Jackman will be Wolverine one last time, there is one particular storyline that could be used to end Jackman's reign as old Logan, and that would be...the Death Of Wolverine! Recently, Wolverine died encased in Adamantium. I don't know if this happened this year or last year, but all I know is that it happened recently. With that being said, this could be a bittersweet sendoff for Hugh Jackman as Wolverine! And now, here's where things get interesting! Let's assume that the people at Fox decide to go with The Death Of Wolverine. After that, Wolverine will no longer be a part of the X-Men, which means that he'd be a "free agent" so to speak. What I'm thinking here is that Marvel could jump in on this chance and get the rights to Wolverine, so that they can be able to include him in the Marvel Cinematic Universe! If I'm not mistaken, there was a time when Wolverine was an Avenger! I don't remember where I read or heard this, but all I know is that the fact stuck with me all these years! And so, with Jackman no longer donning the adamantium claws, this could be Marvel's chance to integrate Wolverine into the Marvel Cinematic Universe! I think it'd be just badass to see Logan butting heads with the other Avengers! Gahh, just thinking about it makes me fanboy! And hey, it's not entirely out of the realm of possibility! Quicksilver and Scarlet Witch appeared in Age Of Ultron, and Spider-Man is now going to be a part of the Marvel Universe, so hey, Logan could make the cut too! So, what do you all think of this? Would you like for Wolverine to be integrated into the Marvel Cinematic Universe? Hey there everybody, how's it going!? Well then, as you all know, I'm a huge fan of the Marvel Cinematic Universe, and well, ever since we got the news that Spidey will be making his way to the MCU, I've been as hyped as a maniac! And well, since I always check for movie news on Cinemablend, I found these two topics last night and just now! It's very interesting stuff! The article I found last night talks about the possible title the 2017 MCU Spidey film will have... http://www.cinemablend.com/new/Marvel-Spider-Man-Movie-May-Have-Title-71098.html And this article, which I just found now, seems to indicate that Marvel may have already chosen the actor they want for Peter Parker/Spider-Man! http://www.cinemablend.com/new/Spider-Man-May-Have-Found-Its-Title-Hero-71148.html Interesting topics indeed! Let's see what develops in the coming months! Film My Opinion On Marvel's Cinematic Universe! Hey there everyone, how's it going? Well, as you all know, I'm a huge fan of Marvel's movies, and although I don't have a sturdy comic book collection, I've come to learn bits and bites of information from Marvel's different superheroes either by word of mouth or by reading information in the Internet. My point though, is that I want to give my opinion on Marvel's Cinematic Universe. I have to say, without a doubt, that Marvel has really carved it's place into film media. I mean sure, we had already gotten many other Marvel movies before, and they had gotten good reception and been widely liked by all of us, but when Marvel started up their Cinematic Universe with the first Iron Man film back in 2008, a bigger scope was slowly being built into place. Six years later, and we're on the eve of Avengers: Age Of Ultron, which comes out next year! I have to say that Marvel has done excellently well with its films, carving a continuing narrative with each of the films following Iron Man. The character development, plot, humor, and scope of each film the Marvel Cinematic Universe has brought us has been epic in scale, and well, we've grown so attached to these onscreen characters that whenever there's news of yet another Marvel film set in the Cinematic Universe, there's good reason to get hyped! And now that we know that Marvel will continue its Cinematic Universe until Avengers 4 and who knows how much longer, it's safe to say that Marvel will leave a long lasting legacy in the film industry. The thing I love most about these films is how they all connect to each other and form a bigger picture. And well, as for what's on the horizon, I really hope Mark Ruffalo stays with the role of Bruce Banner, because I think he's been the best Banner by far, and I'm glad to know that Robert Downey Jr. will continue playing the role of Tony Stark! Seriously, I cannot imagine anyone else playing the role of Tony other than him! He's the exact replica of Tony for Pete's sake! And well, I'm very excited for the Black Panther, Captain America 3, and all the other Marvel films coming out in the future! So then, that's my opinion on the Marvel Cinematic Universe. What's your opinion on it everyone?